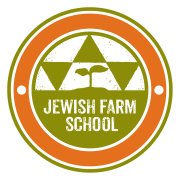 The Jewish Farm School is dedicated to teaching about contemporary food and environmental issues through innovative trainings and skill-based Jewish agricultural education. We are driven by traditions of using food and agriculture as tools for social justice and spiritual mindfulness. Through our programs, we address the injustices embedded in today’s mainstream food systems and work to create greater access to sustainably grown foods, produced from a consciousness of both ecological and social well being. Since 2013, JFS has been focusing our programs in the Philadelphia area that connect the local Jewish community with the vibrant urban agriculture and food justice movements. We believe in healing. When Jews can connect with the earth, with food, and with the values of liberation, we are better equipped to acknowledge and transcend our historical traumas. We are called to mobilize the resources, strengths, and potential within the Jewish community towards action for justice and social change. We take a hands-on educational approach that is grounded in larger historical and social contexts and is holistic in both form and content. We envision a world anchored by just food systems; fair working conditions; right relationship to land and water; and new economies that liberate. Would you recommend JEWISH FARM SCHOOL?